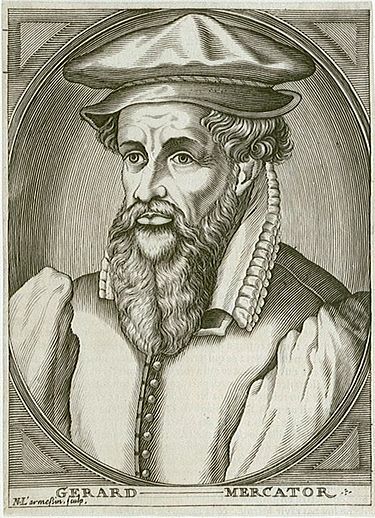 Gerardus Mercator (1512-1594) was a renowned cartographer, mathematician and philosopher. He is credited with coining the word ‘atlas’ to describe a collection of maps. He developed a map projection that is still in use today, although it highlights the near impossibility of transferring spherical details on to a flat surface(a). He is among many of his day who believed that America was Atlantis.